"Baron, I have an extra ticket for the Rolling Stones concert. Do you want to go?" I was fresh out of San Antonio College (SAC) and I thought I had made it to the big time. It was November 4th 1994. I had just starting working at Magic 105.3 when I got that call from my new boss Sonny Melendrez. I'd only known Sonny for 4 days. He said "Meet me at the Magic Booth outside the Alamodome. We'll do the promotion and then we'll go inside." Here was the promotion: Pick up your Magic 105 button and wear it inside the Alamodome. If Sonny sees you inside sporting your button, you get to trade seats with Sonny. And...Sonny has front row tickets. We gave away 5000 buttons. With the Button Bucket empty, we went inside the Alamodome. After Bryan Adams opened the concert, there was that lights-out goose-bumpy heart-pounding energy-exploding larger than life triumphal entry of Mick, Charlie, Ron and 'Keiff' with their opening song: Not Fade Away (one of their earliest covers sounding brand new). Three songs in and Sonny says "Let's do this." We left those satisfying front-row seats, headed out the side exit and went to the opposite end zone, climbing to the upper back corner. Those poor folks paid $50 bucks to barely see the Jumbotron, but one lady clearly saw Sonny and started screamed his name. Sonny saw her button, points to her and says "You're the winner!" She starts crying, grabs her husband and tells her kid "Mija, you stay here. We'll come back to get you when it's over. Watch your brother." As we walk them downstairs, Sonny explains that not only do they get the front row seats, they also get the entire Rolling Stone collection on CD and a new CD player from Bjorn's Audio and Video - Congratulations from Magic 105.3! After hugs and many tears, they assume their new seats and then we "fade away." I asked Sonny "So do we have to go back to where they were?" "No...No...I have 20th row tickets right here." Soon I found myself on radio row with Sonny Melendrez to my left, Lyle, Hahn, Winston, Alice and T-Bone to my right. I had made it! Fast forward 24 years. I got to return the favor. 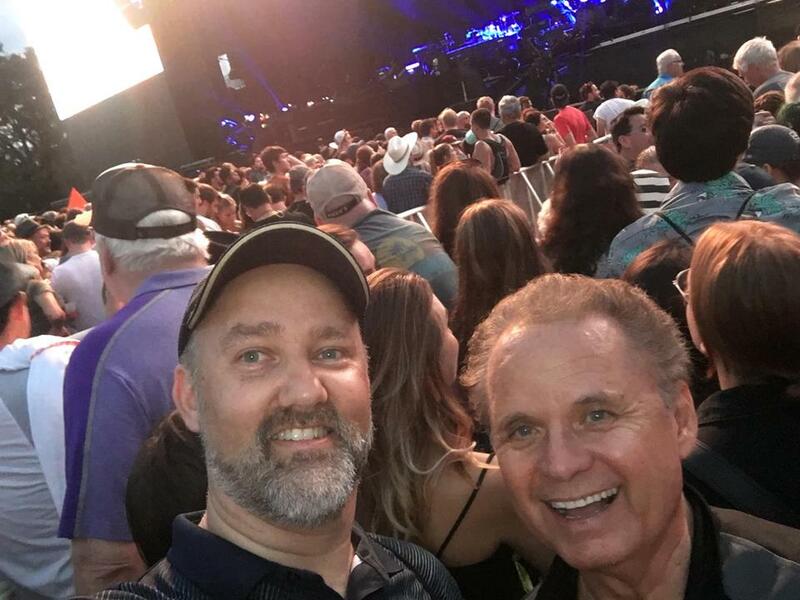 Sonny and I made a special road trip to see Sir Paul McCartney on October 12, 2018 at the Austin City Limits (ACL) Fest. To one of my greatest friends in the world. Baron Note: I'm so proud that the new Sonny Melendrez Show is on my station 930AM The Answer, where I've been for the last 17 years. Photo Courtesy of Baron Wiley. Copyright 2019 by Baron Wiley and SanAntonioRadioMemories.com – All Rights Reserved.